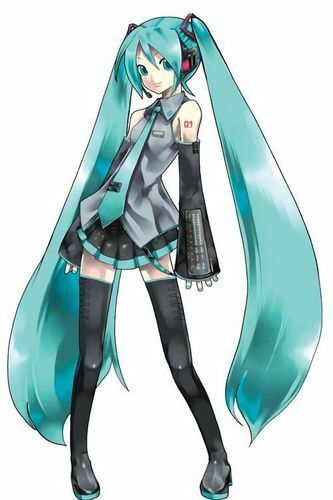 In today’s Sega blog post, Aaron Webber spoke about showing off Hatsune Miku: Project DIVA F for the PlayStation 3 at AOD (Animation on Display) this weekend. But Mr. Webber also announced some wonderful news for fans of the Project DIVA series: Project DIVA f, the PlayStation Vita version of Project DIVA F, will be available via PSN this coming March! We may not have a definite day, but at least the month has been narrowed down. AOD is a yearly convention in San Francisco celebrating anime, games, cartoons, and more, and it’s happening this weekend (January 25th and 26th) at the Hyatt Regency Hotel near the San Francisco Airport (map). For more details, you can find their registration page here. If this is the first you’ve heard of AOD, don’t worry – you can still get a ticket at the door! We’ll be bringing Hatsune Miku: Project DIVA F for the Playstation 3 to AOD, and while we’re at it, we have some exciting news for all you PlayStation VITA owners: we’re happy to announce that the fully localized version of Hatsune Miku: Project DIVA f will release on PSN this March!